Get a FREE Initial Consultation Quote for Dental Crowns & Bridges. Missing teeth are common in adults and at Amazing Smiles we can fill these missing teeth with porcelain bridges. 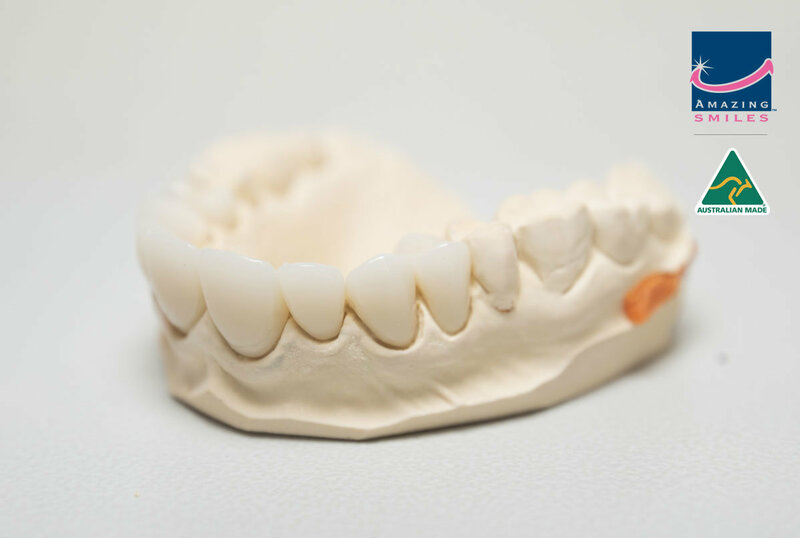 Porcelain bridges are porcelain teeth made up to fill the gaps of missing teeth in the patients mouth. The missing teeth can be at the front or back teeth that can involve one or more teeth. However, the difficult part is how does the dentist anchor these artificial teeth without them falling out. There are a number of ways which the dentist can secure the unit and this is based on how much tooth structure on the adjacent teeth to take away, how many teeth and how long term to keep the structure. A 3 unit porcelain bridge is the most common bridge which involves preparing the two adjacent tooth to a stump. On the day of visit the dentist will take an impression and make a temporary bridge. On the second visit, two weeks after, the patient comes back to have the permanent porcelain bridge cemented. 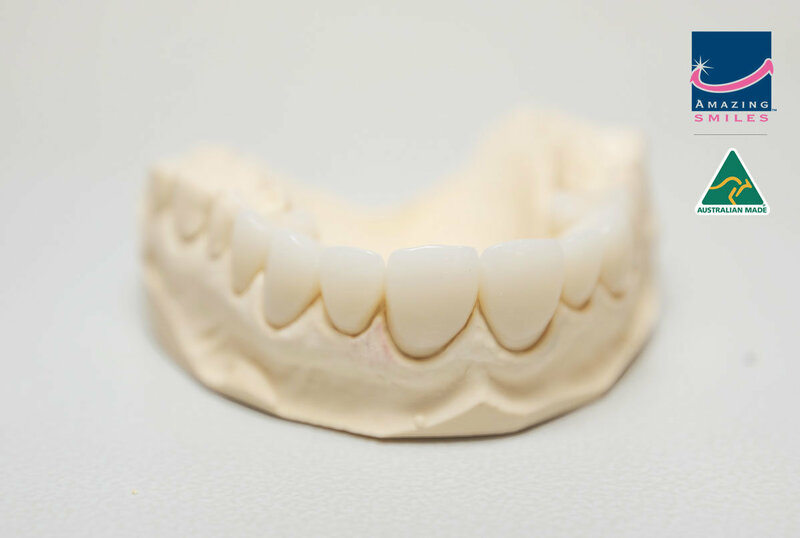 The cost of a 3 unit porcelain bridge is around $3,400 (please note, as teeth are all unique in shape and requirements between patients prices may vary). A Maryland Bridge is a simple porcelain bridge where the anchor teeth have very minimal preparation. There are metal wings at the back of teeth that are cemented into place. This conservative treatment cost around $1,900 (please note, as teeth are all unique in shape and requirements between patients prices may vary). A crown is a covering that goes completely around a tooth. Usually made from pure porcelain the crown is fused to a metal substructure, often gold or from porcelain only. Crowns are used to support a tooth and decrease it’s chances of fracturing. This is especially true when a tooth has been heavily filled or root filled and the remaining tooth is weak or there is not enough tooth structure left to hold in a filling. Crowns are also used for aesthetic reasons when we need to change the shape or colour of a tooth. It takes approximately 30 minutes to cement in the new crown on the next visit. Generally a crown will only fail if decay reaches the teeth around the crown OR the rest of the mouth changes, (such as teeth get darker, but crown stays the same). If supported by healthy teeth, your crown should last for approximately ten years. Like always it is important you maintain regular dental check ups to catch potential problems early. Dentists begin by shaping your tooth/teeth to receive the crown/bridge. Then the dentist takes an impression of the prepared teeth. This impression is used to manufacture the crown or bridge. New technologies have evolved and computers are increasingly becoming a part of manufacturing crowns and bridges. We are very fortunate at Amazing Smiles to have a special CAD/CAM machine known as a CEREC. 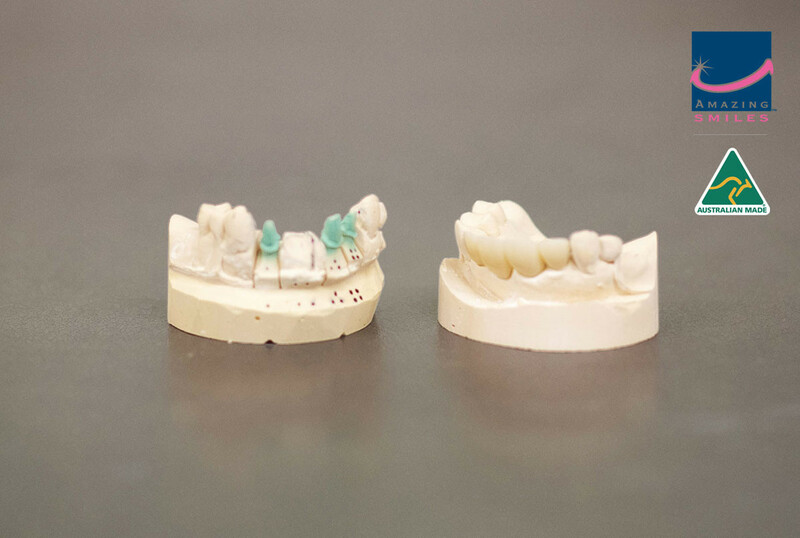 The CEREC enables us to manufacture crowns and bridges on site. The CEREC eliminates the need for temporization as the crown/bridge can be prepared, manufactured and fitted all in one appointment. How Long Will My Crown/Bridge Last? It is reasonable to expect crowns and bridges to last ten to fifteen years or more. Occasionally crowns and bridges come lose or fall out. To protect your crown or bridge you need to maintain good oral hygiene. Healthy teeth and gums require brushing twice daily with fluoride toothpaste and flossing once a day. Regular professional cleaning by your Dentist or Oral Health Therapist is essential. Failure to adequately maintain your teeth and gums puts your crowns and bridges at risk of becoming undermined by dental disease. At Amazing Smiles Dental all of our crowns are 100% Australian Made. Our clinics do not send any of our work to oversea laboratories. We use local laboratories by Australian registered and qualified Dental Technicians. Our sourced laboratories use leading materials and the latest digital technologies to produce accurate fitting high quality work. Get a FREE no obligation quote for crowns and bridges. Come visit one of our clinics across South East Queensland Dentist Gold Coast, Logan, Jimboomba, Bray Park, Wynnum.